Groovy is great for writing Apache JMeter performance scripts. Read on to see how it can help you catch the most elusive of bugs. Groovy is an awesome helper when writing Apache JMeter™ performance scripts. If you don't agree with that first sentence, this article will surely change your mind! Groovy scripts can solve almost all of our issues when JMeter's default functionality is not enough. For example, when we need to save data to a file. This blog post will show a short and simple Groovy script that can make that happen. But first of all, we should come up with an idea about what exactly we want to log into the file. We could give an example of a script that prints "Hello world!" to a file. But let's try to find a more relevant real-life example. One of the best and most useful examples would be the logging of failed responses. It's no secret that when you run your JMeter tests in non-GUI mode, sometimes you might feel a lack of debugging capabilities. If you have a response body assertion in the test that fails during execution, you only know the assertion is failed, but you don't have any additional details. In this case, the most valuable resource to understand the reason for failing would be the response body. But JMeter doesn't log the response body anywhere. In JMeter's defense, this was done on purpose. During performance script runs, we might generate thousands and millions of responses per one execution. Storing all the data might take up a lot of resources, which of course is very critical for performance script testing. But let's imagine a different scenario. During my performance testing career, I have seen many situations where applications had different sorts of heisenbugs, which were hard reproducible and extremely difficult to catch. In other words, there might be some issues that occur randomly and there is no clear set of steps that you need to perform to reproduce this bug so you can show it to someone else. For example, I have seen bugs that might be reproducible only once per thousands of requests, and only during a very heavy load. In such a case, you cannot use the JMeter GUI mode, because when using GUI mode you cannot actually generate a heavy load on the system. However, once you run a script in non-GUI mode you don't have enough debugging information to verify why your assertions fail so randomly. Have ever you encountered such situations in your performance testing experience? Then this article is definitely for you! The main idea of our solution to catch such heisenbugs is to create a script with specific assertions, which should give us more information about the root cause. As we discussed, the most valuable resource to identify the reason of a bug is its response. That's why we are going to catch this response. Since we would like to generate a heavy load through the execution script, we need to use non-GUI mode and write the responses to a file. But does this mean that we need to write the complete response to a file and search for the failed responses manually in this huge text file? Of course not. We will show you some tricks about how you can log only failed response. But first things first. Let's create a simple JMeter performance script for our example. We can use the blazedemo.com web application and create two different HTTP samplers with assertions on both of them. One will pass and another one will fail (of course on purpose to simulate a situation when we have a request that randomly failed while other requests passed successfully). 1. First of all, we need a Thread Group. For testing purposes, it's enough to have just one user with 10 script iterations. Just to remind you, the main goal is to write responses of failed requests to a text file. So let's move on to a basic script that is supposed to write to the file. In this example, we are going to use the Groovy scripting language. You can check out this great article which should give you an idea why we use Groovy in JMeter and why it is so cool. Also, it might be useful to go over this page to get a better idea of Groovy syntax. But if you are familiar with any programming language, it should be very straightforward for you to understand it. Now we are ready to write some scripts! We use a not fixed but relative path during file and folders creation. The script creates the required folders itself if they are absent. The script creates the folders in the same directory where it is located, to eliminate situations when we try to create a file using the path which can not be found. The file path is valid for any operating system (for example, we need to use a special function to get a path separator because it might be different for Windows and Linux). Now we have the file to write in and we have interaction cycle that filters out all the passed requests and allows us to do something when we get a failed assertion. Finally, we are ready to write something meaningful. Now, let's run the script in non-GUI mode and verify that it works as expected. You can check this article which will give you nice tips how you can do it using different ways. This looks great and is extremely useful! But something is still missing. Let's assume you are going to run the script a couple of times one by one. We don't have any file clean-up operation in the script and in this case we are going to add new content to the same file again and again. If we run our script once or twice, that's okay. But let's imagine you run the script 10 times. It will contain a huge amount of errors and responses and you will have no idea which one is related to which script execution. Luckily, we already know how to handle this tricky situation. First, you might think that we can just clean up the same file and write in it again. But this is not a good practice. Sometimes, there are situations when you need to go back to some previous results of previous script executions. If we clean up the file on each iteration, we have no historical logs at all. That's definitely not the right way. Instead, we can create a separate unique file for each execution. That sounds wise! 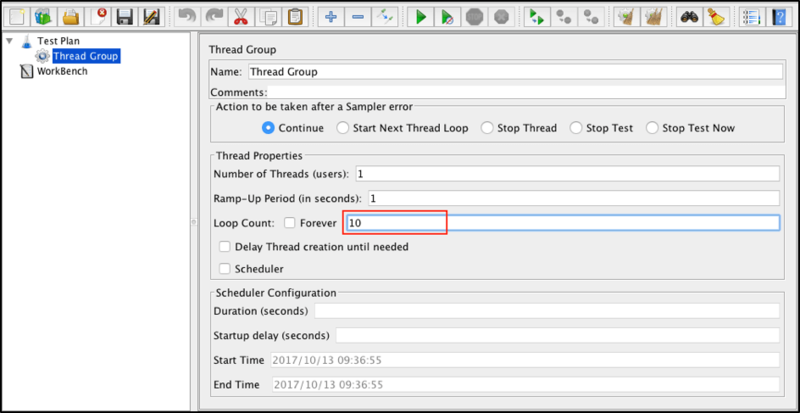 As a result, each time you run the JMeter script, you will have a unique file based on the time this script was executed. 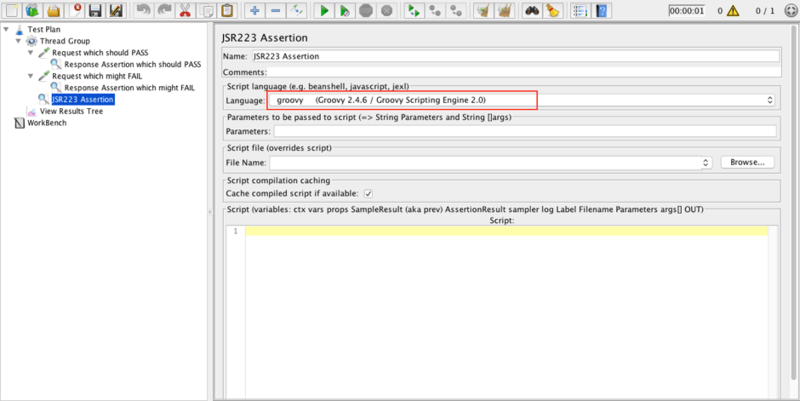 I hope this article was useful and now you have a clear idea how to write into files using Groovy scripting language in JMeter as well as some tools in your arsenal to catch some nasty heisenbugs which you might have during performance tests. 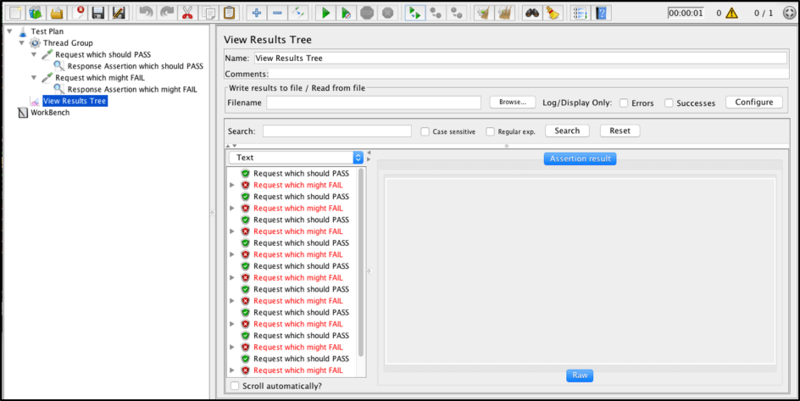 Because if before you had some failures during your non-GUI JMeter performance test execution, you didn't have any debugging information which might be helpful to identify the root of the cause. But right now you will have all failed responses logged into the file which you can analyze after test execution. You can find the JMeter script example we used through this link. Now that you know how to catch Heisenbugs, you are ready to take our advanced JMeter course, free from our JMeter academy.